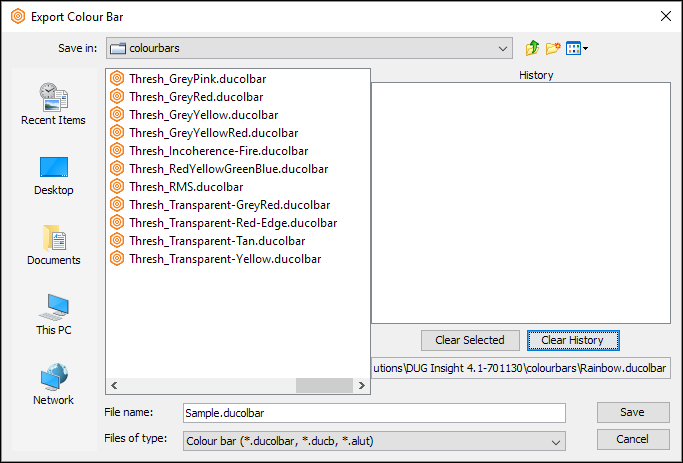 Once you have created a new colourbar or edited an existing colourbar, you can export it for use in other sessions and projects. 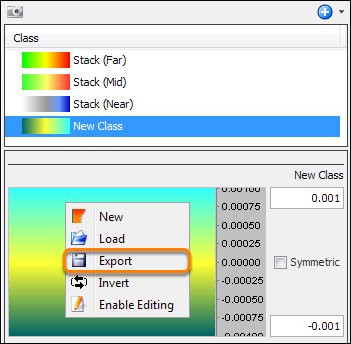 In the tree, select the class which you want to export the colourbar. Right-click the colourbar in the Details Panel and click Export. Select a destination folder where you want to save the colourbar. Type a file name for the colourbar. If the file ends in .alut, it will be exported as a Petrel .alut file. Otherwise, it will be exported as a DUG .ducolbar file.